Dut reflects on the Bible verse John 15:5: “I am the vine; you are the branches” as he unpacks the intertwining narratives of his story. 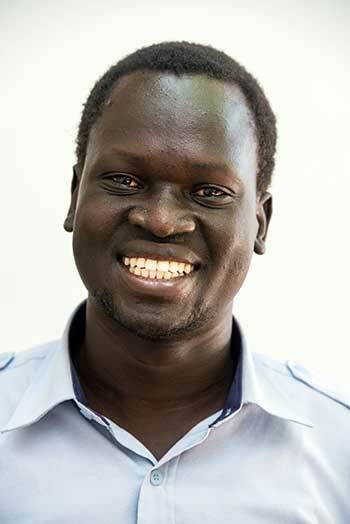 A gentle strength radiates from this quietly spoken South Sudanese man in his early 30s. Pressing into God like this has brought fulfilment of a dream for Dut. In a country deeply divided by tribal and ethnic loyalties, he has learned to look to God alone for his purpose and strength. “I was on my way from Kenya to Sudan on a military truck and a dream came into my mind that I was flying an aircraft – a humanitarian aircraft dropping food items,” he says. Like many dreams, it was rooted in Dut’s childhood, growing up in camps for refugees and internally displaced people, where the hum of an aeroplane overhead drew the children like magnets. The scene he describes is easy to picture – played out day in, day out at MAF airstrips across the world. Children, just like Dut, inspired by the roar and excitement of a little plane coming in to land. Growing up during the Sudanese civil war of the 1980s and 90s, there wasn’t much space for dreams. 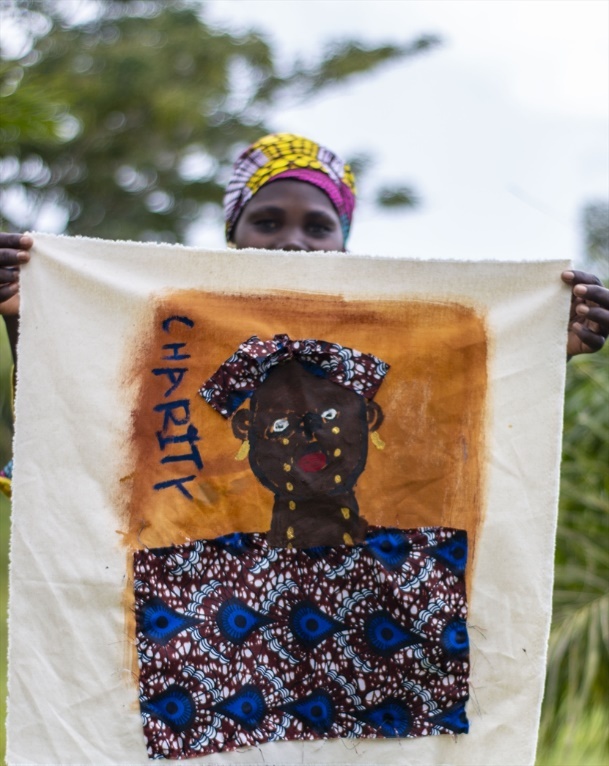 Dut knew extreme hardship and heartache as a fleeing refugee living in desperate conditions. His father, a soldier, died of disease and malnutrition before Dut finished primary school. His youngest brother died of disease when he was just four years old. He had lost so much. Dut completed his secondary education in Kakuma refugee camp in northern Kenya. “The UN provided many reading materials and I worked hard and passed all my exams,” he explains. But with no money to attend university, he reluctantly started his journey back to Juba, South Sudan. It was then that Dut had his impossible dream, riding on the back of a truck. Arriving in Juba, he found a job next to an office where they were recruiting candidates for a government pilot training scheme. After several interviews, Dut was miraculously chosen and in 2008, his long journey as a pilot began. During his training in Johannesburg, South Africa, he met two pilots who were learning to fly a Cessna Grand Caravan – an aircraft perfectly designed to land in the remotest places amidst extreme weather conditions. These two men were pilots with Mission Aviation Fellowship, an organisation that quickly found a place in Dut’s heart. When the funding for the government training dried up, Dut was forced to return to South Sudan to look for a job. He heard about a vacancy at MAF, and successfully applied. Spotting his aptitude, Dut was encouraged to enrol as the first candidate in MAF’s new pilot internship scheme, which he will soon graduate from as a fully-fledged MAF pilot. “I love the purpose and mission of MAF – working for a Christian organisation geared towards serving the lives of desperate people in hard-to-reach destinations. God really can turn impossible dreams into reality, using our ‘mustard seeds’ of faith. Dut’s story has inspired us at MAF to pray for funds for another Cessna Grand Caravan to fly help, hope and healing in South Sudan. It may be an impossible dream, but we believe that God wants to reach thousands more remote people with the vital cargo they need to survive.